These FAQs are designed to provide you an overview of useful background knowledge and of what to consider when traveling with NOSADE to Morocco. Be perfectly prepared! Click here to find out all facts about Morocco. Click here, in search of all highlights in Morocco. 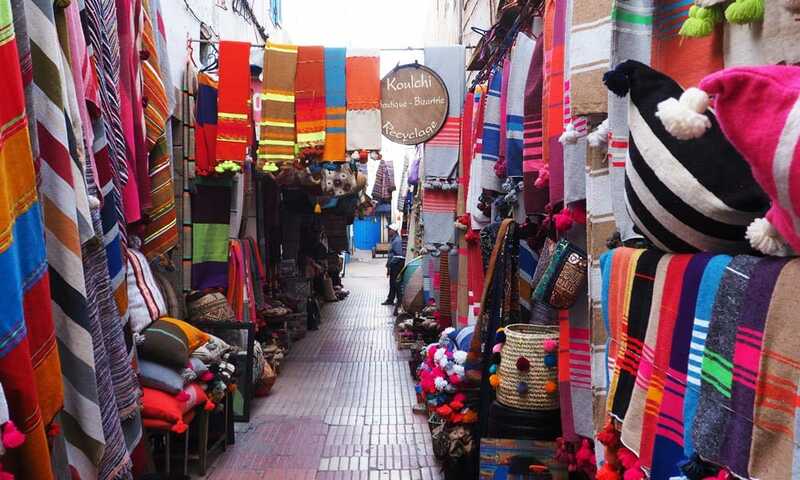 Click here, in search of all highlight in Marrakech itself. Accept what is. Escape daily routines, find inner peace, inner balance and inner tranquility. Morocco will challenge you to do so – with all its sounds, smells & (for us Westerners) sometimes unusual manners. We encourage you to open up for all those impressions. We are traveling in small groups not exceeding a number of 12 participants. We are doing that because we want to ensure a very personal travel and retreat experience for our Yogis, dealing individually with and support everyone and to meet our own claim of a silent tourism. Both types of students, the beginners as well as the advanced, are equally welcome to join. Our experienced yoga teachers are focussing on your individual needs and level of experience. Most of our trips offering the possibility to either improve your practice or even try yoga for the first time. Our teaching styles range from Anusara, Hatha, (Power-) Vinyasa Flow, Iyengar to restorative and Yin yoga. NOSADE is mainly teaching Yoga styles with a focus on biomechanical movement and health while practicing skillfully and well alined. Yoga mats and all other necessary Yoga equipment will be provided by NOSADE. Of course, you can also bring your own yoga mat with you. Please just let us know upfront so that we can calculate accordingly. Participation in all our yoga sessions is of course optional. Should there be one day you don’t feel comfortable in practicing yoga or joining the group you are more than welcome to just enjoy yourself. It’s your vacation! Arrival and departure is usually also 1 day later or earlier possible. Please talk to us – we create your own individual package tailored specifically to your needs. Please note that the flight tickets are not included in the price. Being accommodated in single rooms is possible with subject to surcharges as far as we know it in time and can prepare ourselves. In the desert camp we can’t provide a single room because the place is limited with tents. Morocco is generally considered a bread-loving nation. It is served as the very basis of every meal. Additionally, traditional urban Moroccan cuisine makes plentiful use of meats. That does, however, not mean that Moroccan food is not healthy, as plenty of vegetables are served with every meal. In poorer, more rural areas meat is considered a luxury and is served only in the smallest of portions – if at all. Moroccans love different variations of omelette, which you should definitely give a try. In addition to famous Couscous, Moroccans enjoy a great number of Tajine variants, all prepared in traditional earthenware pots. For breakfast Moroccans love homemade sweet jam and marmalade on freshly baked bread and pastries. On our travels we strive to provide healthy supplements in addition to the traditional Moroccan cuisine that is generally very popular with our guests. Bread can easily be left out of almost any meal and even vegetarians and vegans can experience their share of Moroccan tastes, as long as they don’t demand too much variety. We always strive to meet any nutritional demands or requirements. As Morocco is still a developing country without access to specialty products such as gluten free bread or lactose free milk, we ask that you understand that if there is a need for such products you will have to bring them yourself. Generally, anything but coffee or tea may be imported for personal consumption. Dairy products, bread, cereal etc. can be brought into the country without an issue. Here you can find a comprehensive list of customs regulations regarding food and drink import. Luggage should be light and functional. It would be best if you packed clothes that could be worn layered and thus be easily adjusted. Such layers are particularly practical for our yoga classes, as we like to move our sessions to the rooftop terrace whenever the weather allows for it. As you are staying in authentic Moroccan homes, most of which feature traditional open roofs, wearing layered clothing will also come in handy during the day beyond our yoga classes. *Under the tab “medical travel advice” you will find a small pharmacy for your suitcase. For the month between November and February pack some warm cloth. We’d recommend bringing a down jacket, a warm wool hat & wool socks. A scarf additionally helps to keep you warm at night and protect you from the sun during the daytime. Bring eventually even a hot-water bottle, when you tend to struggle with getting warm by yourself at night. Even it can be cold during this time, the sun can be quite strong. Therefore, we recommend to bring a suncream with a high protection factor and a scarf or hat that is protecting you from the sun. In September and October as well as in April and May it can get quite hot in the day already which means temperatures around 30 degrees Celsius. For the day definitely, bring a suncream with a high protection factor and a scarf or hat that is protecting you from the sun. In March you have to be prepared for strong desert winds from time to time. During a sandstorm, it is recommendable to stay in a fixed desert camp as the wind can cause great and unpleasant sand stirs. For the Desert Retreat as well as for the Roundtrip we can highly recommend traveling with a backpacker since we are changing venues quite a few times. Baggage to the 3 days desert trip is limited to 10kg per person since the dromedary cannot carry more than a person weight plus 10kg, the rest of the luggage can securely be stored in the hotel in Merzouga. For the desert camp please bring a small towel, wet wipes, bug spray, a small torch or flashlight, sunscreen (SPF 30-50), as well as a powerbank for cellphone / camera and natural sea salt nasal spray where needed. Do not forget your (sable+robust) hiking shoes, sport cloth and a jacket for the evening for the Atlas Mountain Retreat. A raincoat might be helpful if it is rainy. Travelers from most Western countries (EU, North America, Australia) only require a valid passport for a stay of up to 90 days, valid for 6 months at the date of departure. Additional information can be found at the consulate websites of your specific country of origin. 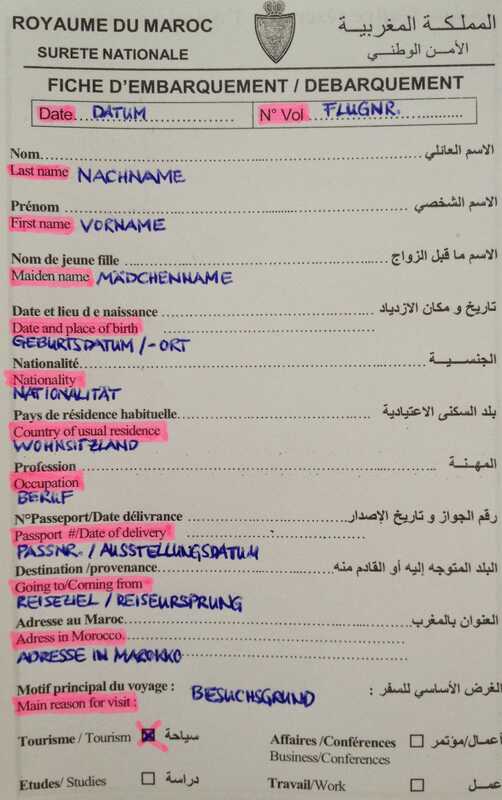 When entering and leaving Morocco you will be asked to fill out this immigration form that is usually provided by the cabin staff on your airplane. If this is not the case, you will find such forms lying out before the passport control. A pen is recommended here to reduce the waiting line. Hint: Take directly two forms when entering Morocco, that saves your time at the departure day. Travelers should only consume bottled water and avoid swimming or bathing in bodies of standing water. Mosquito protection is recommended for stays at oases and near rivers or lakes. Medical care in Morocco is generally adequate, but does not comply with Western standards, particularly so in rural areas. 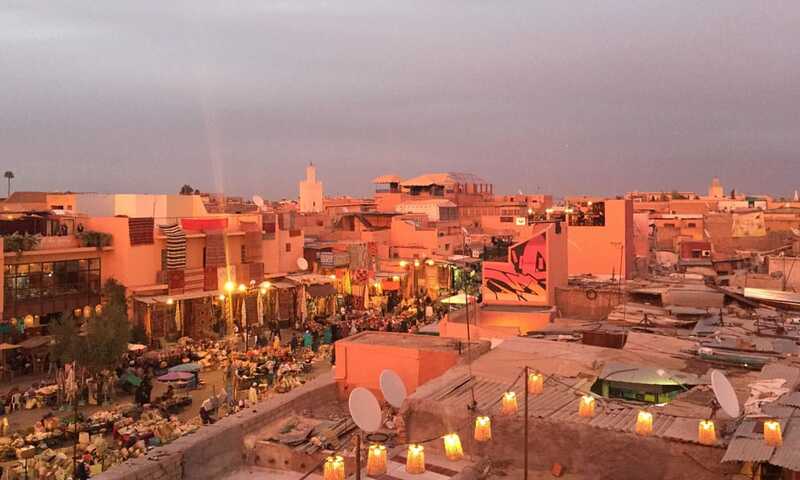 You can reach Merzouga, the door to the desert, by rental car or bus (CTM and Supratours operating overnight buses from Fez and a one day bus ride from Marrakech straight to Merzouga). Personal transfer can be arranged upon request. Please don’t hesitate to get in contact for recommendations, required tips or arrangements. Easily discover Morocco by train, rental car, bus or shared rides in grand taxis for negotiable rates. Personal transfer can be arranged upon request. Traveling with kids is great fun and easy to do. Moroccans are famous for being child friendly. Medical care is hardly everywhere accessible. German based tour operators have to issue a travel insurance coupon as soon as a customer’s booking occurs. The exact formulation of this document is not ideal: not the trip itself is insured, but the (pre-)payments made to the operator. To express it in a simpler way: a travel insurance coupon is an insurance for insolvency. In case the tour operator becomes insolvent before the tour is consumed, the amount already paid is secured and will be refunded; the trip itself is cancelled. Morocco is generally considered as a safe destination, as crime committed against tourists are extremely rare (and severely punished by Moroccan law). However, you should always check your state department / foreign ministry website before traveling abroad. Traveling to Morocco, especially to the desert, is recommendable between mid September and mid of May. From November to February the temperatures in the daytime are around 20 degrees and thus pleasant for most western travelers. The nights can be very cold in these months and temperatures can go below 5 degrees Celsius. In September and October as well as in April and May it can get quite hot in the day which means temperatures around 30 degrees Celsius. The desert nights in this time are at around very pleasant 15 to 20 degrees. Please notice below our recommended packlist for each month and retreat. We recommend to either take your credit card and get money from the ATM. Or to bring cash with you that you change in the Medina / city center at Hotel Ali (it is easy to find and they always have the best rates) into Dirham or to go to any bank or change bureau in the city center. Avoid changing money at the airport due to mostly high exchange rates. A 10% tip is customary in restaurants, 2-5 dirhams in taxis, 1 dirham per drink in cafes. Gratuities for the involved service staff of NOSADE is not included in our prices. It is customary to tip whenever you are pleased with the service. That pleases the staff and motivates them even more for kindness and good work performance. 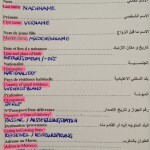 The official language is Moroccan Arabic, indeed French is always taken as business language. Therefore use a little French, such as “Merci” or “Bonjour”, as it is widely understood and generally perceived as you making an effort. All natives of Morocco speaks Berber language, which is also the name of the folk. Nevertheless, everybody understands english so that you can use it. 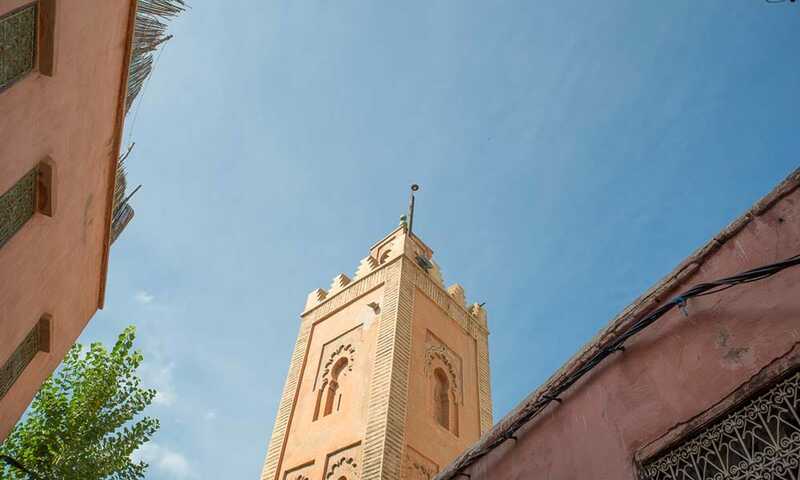 Don’t miss out on spending the night in one of Morocco’s famously inspiring typical Riads, in a Kasbah or in a traditional Berber tent right in the middle of the dunes in a desert camp. Here you can find a detailed list with all our chosen partner Riads. Limited public WiFis are available, but Internet cafes are plentiful. Besides, all our Partner Riads do have free WiFi access but in the high atlas mountain the signal might be a bit bad. Moroccans are helpful and friendly people. So do not panic!